It is hard to argue against the importance of English as a truly world language. Used by almost 942 million people around the world, and in five of the world’s top ten largest economies, it is considered vitally important in global business, diplomacy, politics, and even in science. 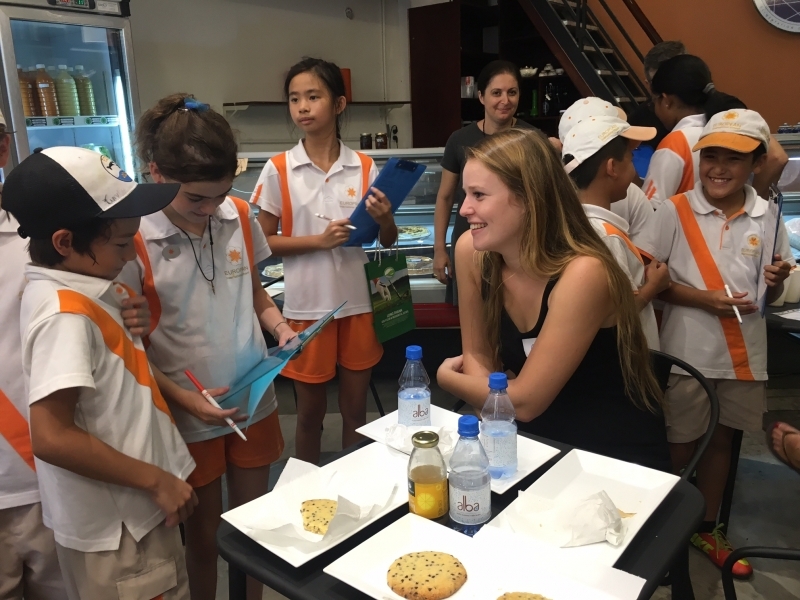 For these reasons, international schools are enjoying a phenomenal rise in popularity in Vietnam as parents around the country, both local and foreign, perceive English fluency as tantamount to the success of their children’s future and their ability to navigate an increasingly globalized world. For the sake of English fluency, students are often told to leave their mother language at home and to speak only English while attending international schools. In recent years, however, new academic research and studies in the science of learning have suggested that this approach maybe a flawed one. According to Iain, as international schools all over the country receive more and more children of diverse ethnicities and nationalities, the issue of preserving the mother tongues becomes increasingly relevant and pressing. Students went to 100% alimentaire, a French shop next to the school. They tasted different products, ordered food, played games and practiced French with French locals and EIS parents who can speak the language. This academic year, change is coming to EIS. In a bid to bring research into practice and attempt a better educational approach, the school is setting up a campaign to reconnect and embrace mother languages alongside its official language of instruction. “Obviously we cannot upturn our foundation of English as the language of instruction. However, there are many ways we can support the students and provide them with opportunities to maintain and appreciate their mother language within the setting of the school. We are encouraging teachers to be more open and flexible with non-English languages used within the classroom. We are educating parents on how to support their children at home. We are reaching out to the wider community to seek ways to support multilingualism. We are setting up structures in the school programs and timetables to allow space for mother languages to enter into what is previously an English-only environment,” claims Iain. On the surface, these may seem small tweaks to the established system, but to some teachers and parents, these changes go against decades-old traditions. For years, the English-only environment has been synonymous with international schools. Many teachers speak only English. To them, allowing mother languages in the classroom means letting go of control, of not knowing what their students are up to. And yet Iain speaks of going beyond even that. He talks of possibly allowing students to do research for homework in their native language. He talks of setting up individual or small group sessions where outside tutors can be brought in to work with the teachers in interacting with the students in their native languages. Despite years of research backing up the advantages of a strong mother language foundation and the growing recognition of its importance, the kind of development going on at EIS is very much in its infancy in international schools all over the world. It requires nothing less than a sweeping cultural change within the international school setting, and cultural changes take time.